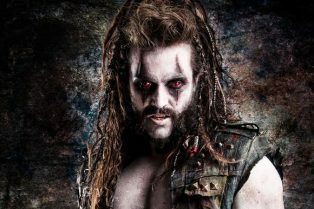 Syfy Reveals First Look at Emmett J. Scanlan ..
Hey, Whatever Happened to That Lobo Movie Wit..
Is This The Logline for the Lobo Movie? The Fringe: Violent Tom Jane Punisher Short F.. The Fringe is a place where non-horror genre films can get some play on Shock. These films might be sci-fi, fantasy or action – and certainly contain some horror elements – but will likely be light on scares, or, straight-up “horror.” Still, they might be of interest to you. Warner Bros. has set Journey 2: The Mysterious Island director Brad Peyton for their DC Comics adaptation, Lobo, Deadline reports. 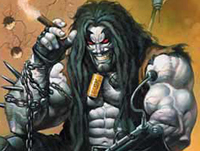 Created in 1984 by Roger Slifer and Keith Giffen, Lobo is a Czarnian (originally Velorpian) bounty hunter who, as a nearly indestructible anti-hero, drives a space-faring motorcycle across the cosmos in search of his next target.